The warmest blanket for the weight I have ever seen. The warmest blanket for the weight I have ever seen. Compresses deceptively small and then fluffs out like a comforter. 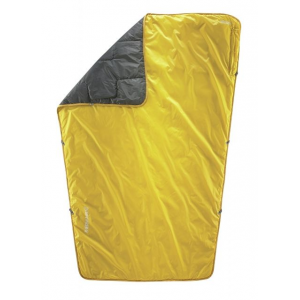 This is a review for the Kifaru Doobie, the thicker variant of the Woobie. It takes its name from its inspiration: the government issue poncho liner, known affectionately to ground troops as the "Woobie". 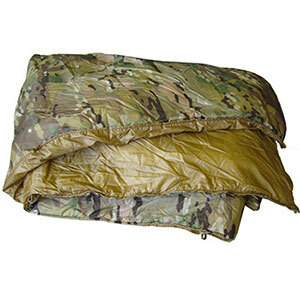 Essentially a lightweight synthetic fill blanket, the Woobie is known as an infantryman's best friend. Kifaru took the concept of the Woobie, and improved it, making a lightweight, compressible version with more, and higher quality, synthetic down filling than the military's version. 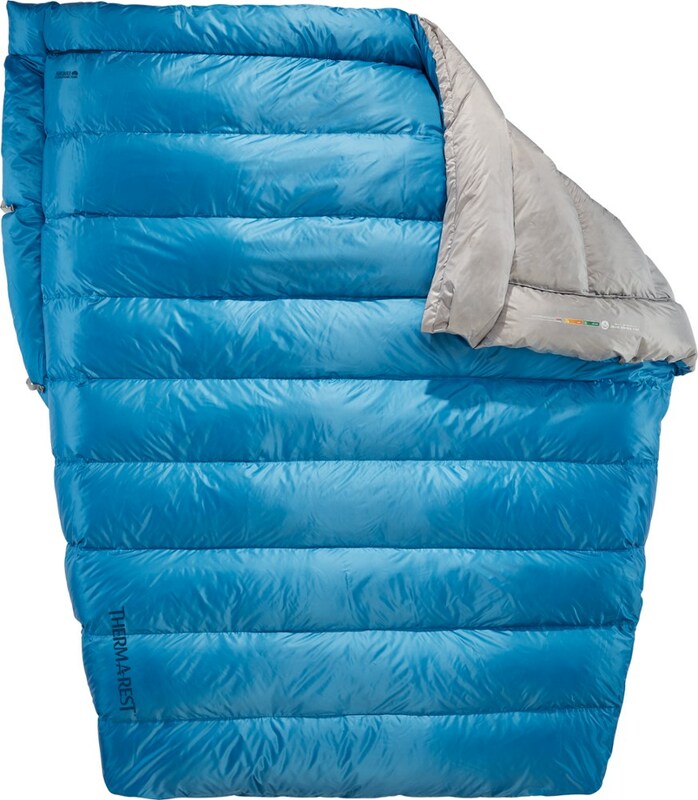 They then took that product, itself already revolutionary, and increased the amount of fill, calling this ultra-warm version the "Doobie" (double-Woobie). Now that the name makes sense and the heritage is known, here's my personal experience. I was an infantryman, and can extoll the virtues of the Woobie (and perhaps will in another review), and in fact I have a gov. issue poncho liner even today that sees plenty of use. However, on my first deployment to Afghanistan, one of my buddies got a Kifaru Woobie, and after feeling it and seeing what it could do, I knew I had to have it. I went all out and ordered the double version for about $50 more (about $200) and it changed my life. It comes with its own stuff sack sewn into it, and easily stuffs into that, being about the size of a basketball. However, you put it in a compressible stuff sack, it easily becomes football size or smaller. This is a lifesaver in the infantry, when pack space is at a premium. Despite the compact compression, as soon as you pull it out and fluff it, it is about 3 inches thick, and big enough to comfortably cover two full grown adults. I'm over 6 foot, and have no trouble with my head or feet sticking out. It is warmer than my mummy sacks, and has kept me sleeping soundly in subzero temperatures. 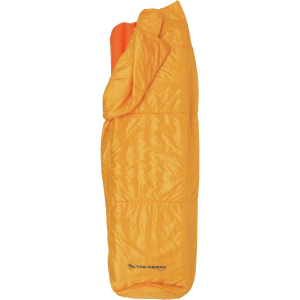 The last time I went backpacking into the Wind River Range of Wyoming, I only carried a small tent and this Doobie. Despite being constantly rained on, all my gear getting wet, and my tent dripping heavily, I was still comfortably warm when the temps dropped at night at 10,000 ft altitudes. What made me a diehard believer was waking up to find my Doobie soaked, and yet still keeping me incredibly warm. I have had this for several years now, and I'm never getting rid of it. I always store it properly, and it still has as much loft as when I bought it. It has never torn, and shows no sign of wear. I would recommend hand washing and hanging to dry or tumbling on air, and storing fluffed out in a tote or hanging, and if you do that, this will last for years. From now on I'm ditching the tent for a tarp, and this has long since replaced sleeping bags for me. It may seem pricey at first, but the quality, and sheer unbelievable warmth is unparalleled. Welcome to Trailspace, M. Thornton! Thanks for being the first to share a review of the Kifaru Doobie. I'd love to see some pics of this blanket if you're willing to add some to your review. 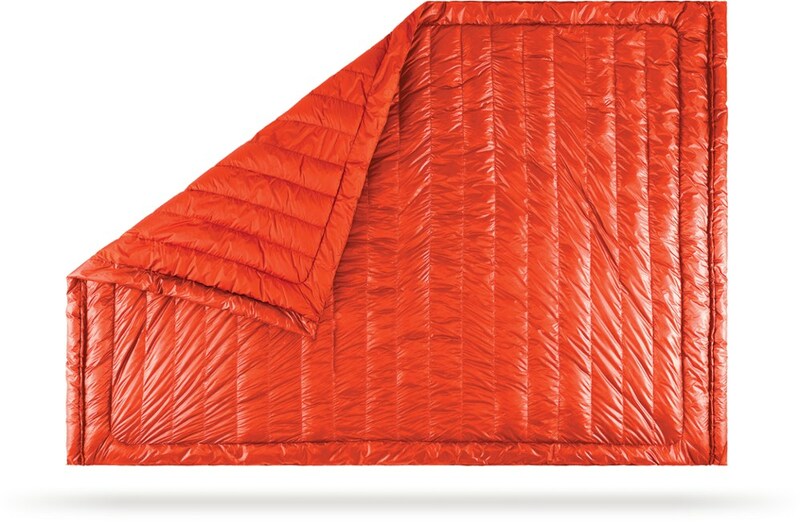 Looks like a cool alternative to a down top quilt in a hammock. Kevin, we don't have any user reviews of the Enlightened Equipment Prodigy. Perhaps you can be the first. Exactly what is the synthetic fill? I'm hoping it's Climashield. Perhaps inside an eVent or GTX poncho the Doobie would be very good. Better than sweating inside a GI style urethane coated poncho. 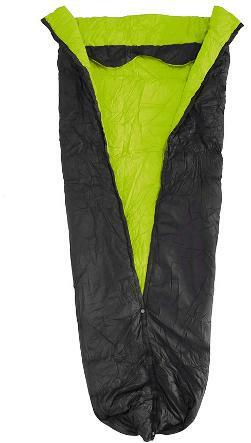 Kifaru website says the Doobie is filled with Climashield Combat continuous filament insulation. From MilitaryMorons.com: "It is a continuous filament fiber, synthetic insulation that is very compressible, thermally efficient, and does not need to be quilted, laminated or glued to the shell fabric. It also drapes well, and conforms naturally around the body. It's also water resistant and fast drying. The Climashield insulation consists of thousands of continuous strands of polyester, spread into a naturally interlocking insulation. The fibers stay put and do not migrate. The raw insulation comes in rolls, much like fabric does - it's not loose clumps of material like filling or feathers." Price Paid: ?? $200 ?? I agree the Doobie is excellent for what it is. 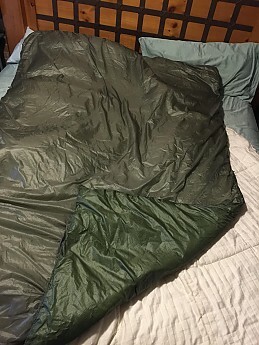 I write separate only to note for our readers that the insulation is somehow disconnected from the shell such that it can be hard to get the insulation where it needs to be in the middle of the night in a hammock in the woods. Giving up and going to sleep still leaves you warm, but only satisfied at 4.5 stars. Thanks for the additional info, diggdatt. How long have you had your Doobie? I use this as a force multiplier for whatever insulation I'm using. Whether it's sleeping on the ground, in a hammock, or still hunting after a hike. It always fits in a pack, and is easy to use. 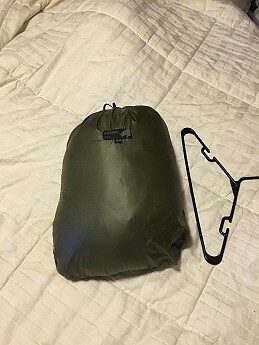 I've used it in a hammock, in a tree stand, sitting to glass while hunting, winter camping to extend my time outside at night in front of the fire. 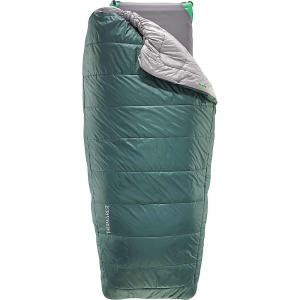 It takes the place of an extra jacket, and extra sleeping bag. The synthetic insulation actually dries me out while I sleep. The Kifaru Doobie is not available from the stores we monitor.